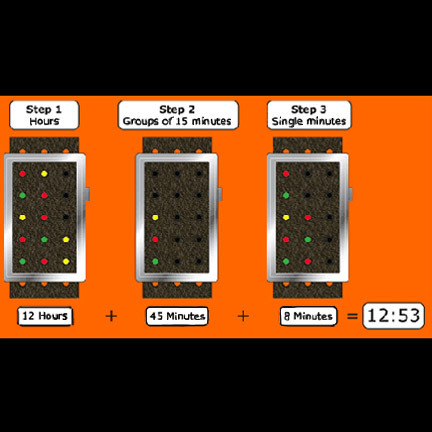 Another crazy Tokyoflash design with innovative time reading system. 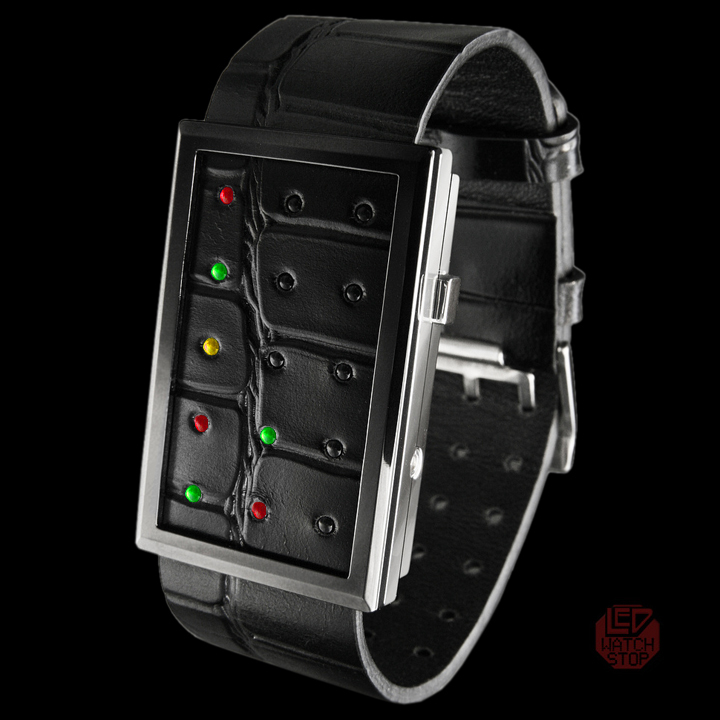 This watch features black leather face with raised crock pattern and multi color LEDs. Waku has a self-adjustable leather strap that is suitable for a wide range of wrist sizes. The slim stainless steel case is complimented by a polished black frame; finished by a comfortable belt style strap with secure three pin buckle.